New for 2018 is the Georgiana Cape. 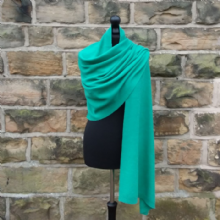 Featuring a horizontal rib design and softly draping neckline, our cape falls from the shoulders in gentle folds and reaches just below the elbow. The perfect length to show off our cute new season wristwarmers! Equally suited to day or evening wear, it works perfectly over a favourite dress or with a more casual outfit. 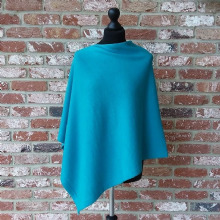 Made in New Zealand from premium quality, supersoft extra-fine merino wool, our cape is soft and light against your skin and offers a stylish alternative to a traditional poncho or wrap. Available in charcoal and cornflower.